China is set to see a proliferation of technology hubs across its breadth. 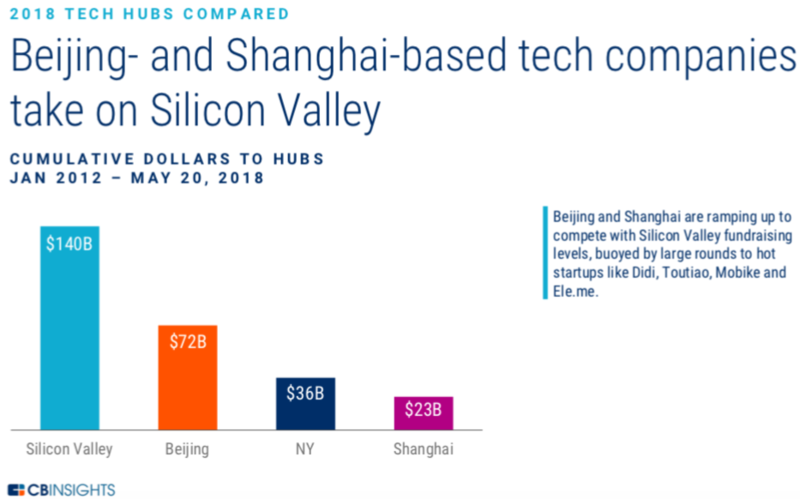 China is set to see a proliferation of technology hubs across its breadth, with Beijing and Shanghai being the epicentres for technology entrepreneurship as they rise to rival Silicon Valley, according to a recent report from New York-based venture intelligence platform CB Insights. 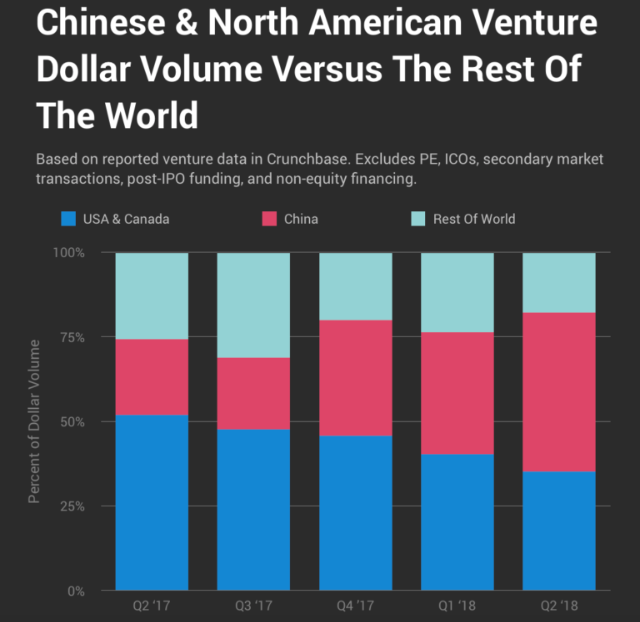 This development also comes at a time when information from Crunchbase indicates that Chinese startups raised 47% of all reported VC dollar volume in Q2 2018, compared to the 35% percent share collectively raised by companies based in the United States (US) and Canada, making this the first time Chinese venture capital has eclipsed U.S. and Canadian levels. However, a substantial element is attributed to a single round in early June that saw electronic payment services firm Ant Financial, an affiliate of the Alibaba Group, close a $14 billion Series C round valuing it at $150 billion led by Singapore’s state investment fund Temasek Holdings and its sovereign wealth fund GIC. 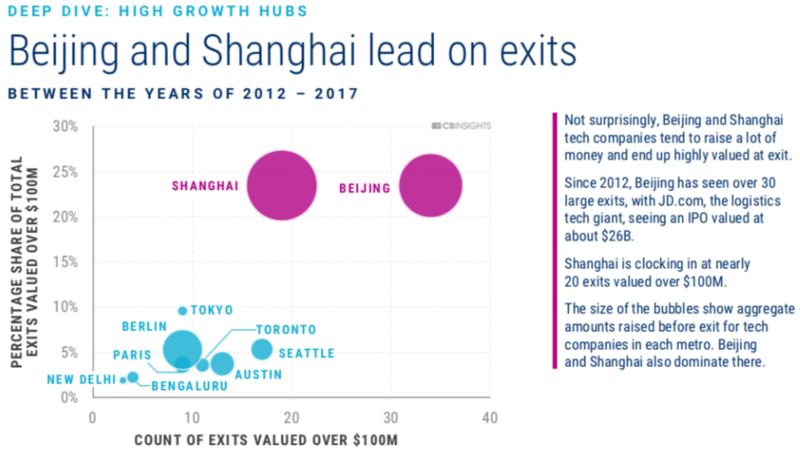 China’s capital city of Beijing and the financial centre of Shanghai have emerged as leading global high-growth hubs, underwritten by high rates of corporate-backed transactions; a higher frequency of early startups entering the market; higher dollar investment and deal count growth rates; as well as a significant concentration of early-stage companies. While China already is home to various second-tier technology hubs as various metropolises seek to replicate the success of Silicon Valley, cities such as Chengdu, Nanjing and Xiamen have emerged as technology hubs in their own right, aided in no small part by state intervention in engineering China’s venture capital market. China’s State Council has designated 17 national-level innovation demonstration zones, ranging from coastal Shenzhen to inland Chengdu, which is permitted to offer favourable policies meant to spur innovation and drive regional economic growth that leverage on their respective strengths. This is further backed by a report from WalkTheChat, a marketing & IT agency focusing on helping overseas brands to sell via WeChat and Weibo, indicating that Beijing possesses the highest concentration of unicorns in China. Internet services are the dominant sector among unicorns, with the main investors in Chinese unicorn companies being Sequoia Capital, Tencent, and IDG. 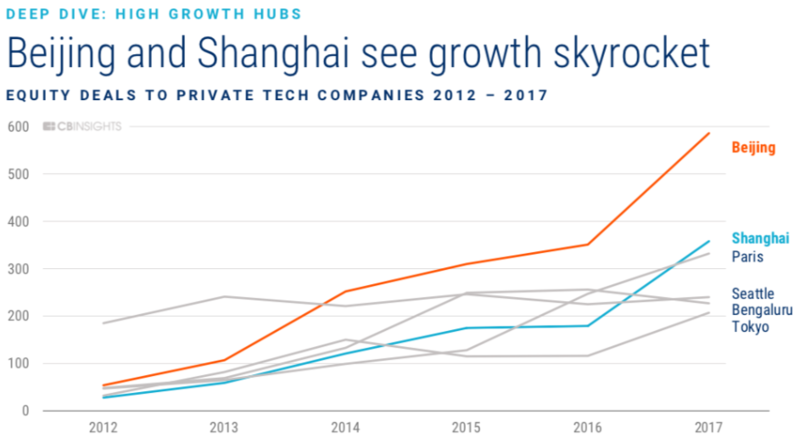 Q1 2018 saw the creation of three unicorns – technology enterprises valued at US$1 billion and greater – across Shanghai and Beijing. 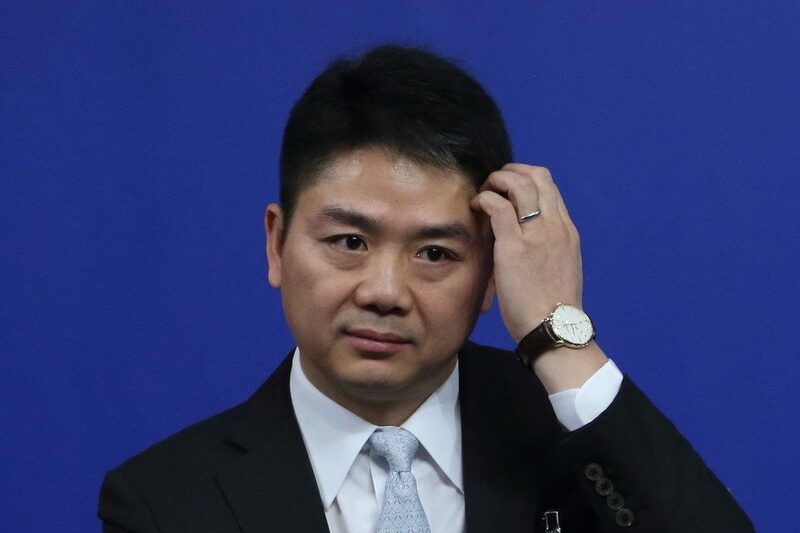 Such firms are experiencing a boom, with the central government in Beijing claiming that as at April 2018, China hosted 168 unicorns worth $628 billion cumulatively. 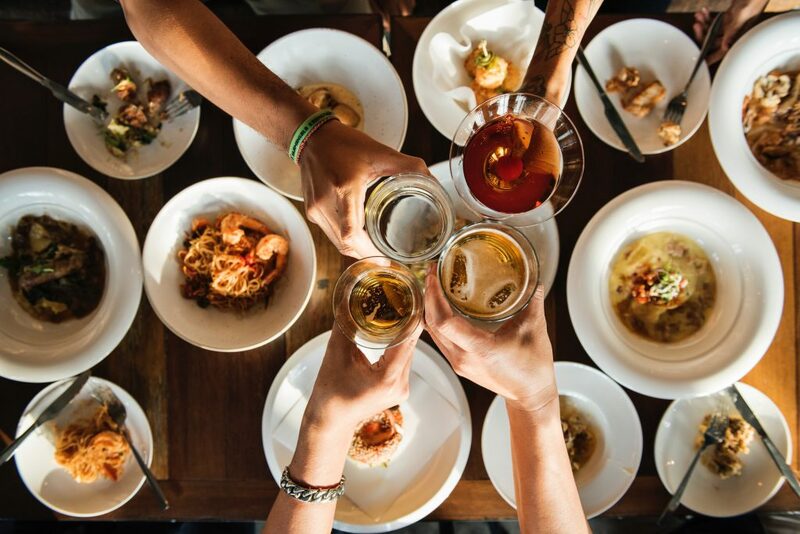 However, according to information from CB Insights, as at April 2018, China hosted 64 businesses valued at $277 billion, compared to the US which hosts 114 companies cumulatively valued at close to $400 billion. 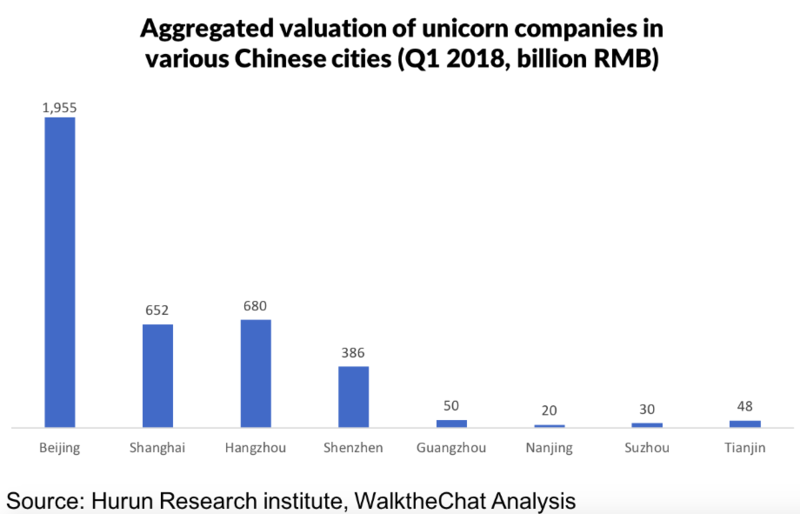 WalkTheChat’s report notes that in terms of valuations, Beijing companies tend to be more valuable than their peers in other Chinese cities, with Beijing having fewer unicorns overall but possessing more than triple the aggregated valuation of either Shanghai’s or Hangzhou’s unicorns as at Q1 2018. Hangzhou, home of the Alibaba Group, is the headquarters of 16 unicorns with aggregate valuations reaching RMB680 billion. This growth in China’s unicorns is driven by a combination of its large domestic market and innovations locally, with substantial capital invested in consumer-oriented firms catering to China’s growing middle classes, as well as a healthy range of exit routes such as corporate buyouts and acquisitions, as well as public floats on the highly liquid Hong Kong Exchange (HKEx). 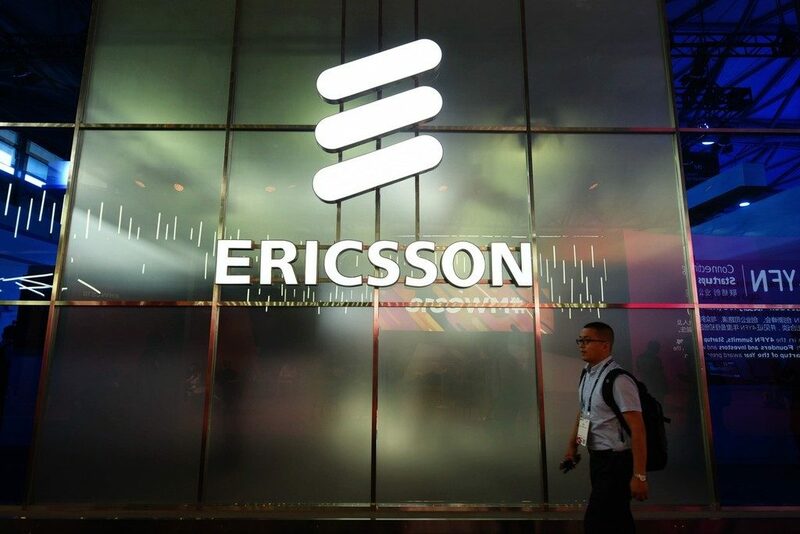 This exit landscape is set to be further augmented with the introduction of Chinese Depository Receipts (CDRs), though questions remain regarding such an instrument following Xiaomi’s decision to delay issuing a CDR until after its initial public offer (IPO) in Hong Kong. On the whole, the emergence of Beijing and Shanghai as major technology centres also reflects a deep commitment by China’s central government to becoming a global economic power, with schemes such as Made In China 2025 and the Belt & Road Initiative (BRI), the driving forces behind this industrial modernisation. Modelled after Germany’s Industry 4.0, Made in China 2025 is aimed at evolving its current infrastructure to adapt it to changes induced by the Fourth Industrial Revolution – the combination of advancements in technologies such as artificial intelligence (AI), robotics and Internet of Things (IoT) solutions – that will see industrial and business models shift to being decentralised and real-time in nature. This aims to upgrade China’s economy and output to focus more on quality, with one key element being the objective of having at least 70% of core components and materials for high-technology products being made in China. Semiconductors are one key component in this, exemplified in moves against Huawei and ZTE by the US and indicates techno-protectionist trends that have emerged as part of a coming US-China trade war. Such concerns aren’t without basis, given the attempted theft of microchip designs from Micron Technology in a case of corporate espionage in Taiwan. However, while China has progressed tremendously in developing its research & development base, as well as possesses a top-down system that excels at mobilising financial capital and other resources, there are still questions over its ability to develop and sustain a genuine innovation culture as well as how China’s technological innovation is perceived on a global basis. Rooted in what some at least one US academic see as a political world with bounded constraints that affects its institutions and inhibits intellectual inquiry; an institutional bias that sees research agenda’s being established in a top-down manner; and a deficit in the freedom and ability to access information by most of China’s population, China is still set to navigate these challenges – and perhaps establish its own form of innovation – this comes at a time when the US and China are gearing up for a technology war. 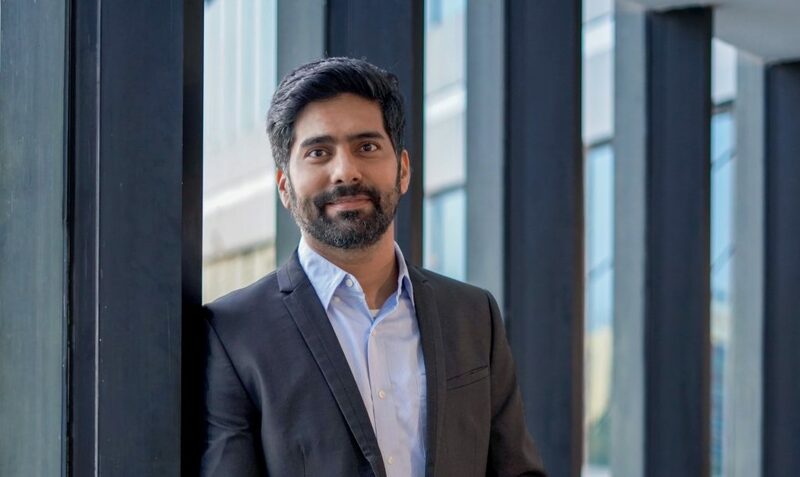 Nevertheless, while the Chinese technology ecosystem needs to address some of these issues as it matures, the strong growth that China’s technology centres are seeing – coupled with the exits that Beijing and Shanghai ecosystems facilitate – means there is sufficient capital being cycled through China’s major technology hubs to fund more technology ventures and drive further growth of these local ecosystems. And with the Hong Kong bourse’s new listing rules, which are designed to attract listings by technology companies to its deep and highly liquid capital markets, the prominence of these technology hubs is only likely to grow. Given the factors behind China’s growing strength in innovation, China’s technology hubs benefit the availability of abundant capital, as well as being able to leverage a robust manufacturing ecosystem, low-cost skilled workers, and a large domestic market to fuel their ascent.